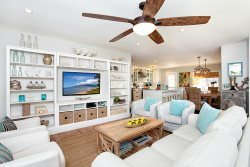 Bliss Beach House- Stylish 4-bedroom Beach Home with Resort-style Pool, Legal Rental! The condos we offer in this price range include oceanfront or beachfront complexes such as the Mana Kai Maui, Hale Hui Kai, Wailea Ekahi, Hololani, and the Royal Mauian. All our units are hand-picked remodeled units.